Don’t have time to take an incoming call, but don’t want to just send your caller to voicemail? If you’ve got a newer Android phone, there’s another option: you can also send a quick, pre-written text message while you’re declining the call. 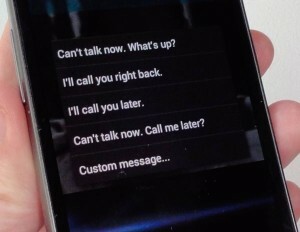 Most Android handsets running on the latest “Ice Cream Sandwich” version of Google’s Android operating system have this so-called “quick response” feature, which lets you choose from a short list of canned text messages (such as “I’ll call you later” and “Can’t talk right now, what’s up?”) as you’re declining an incoming call. Just tap a pre-written message to send it instantly to a caller you’ve sent to voicemail. It’s a fairly straightforward process, but keep in mind that it may work slightly differently on your particular make and model of Android phone. In this article, I’ll be describing how “quick responses” work on the Samsung Galaxy Nexus, which runs on the standard, “stock” version of “Ice Cream Sandwich” (a.k.a. Android 4.0). You should now see a short list of quick-response text messages; tap one to send it instantly to the call you just declined. You can also send a custom message if you wish. Want to customize your list of quick responses? Just dig into your phone’s calling settings. 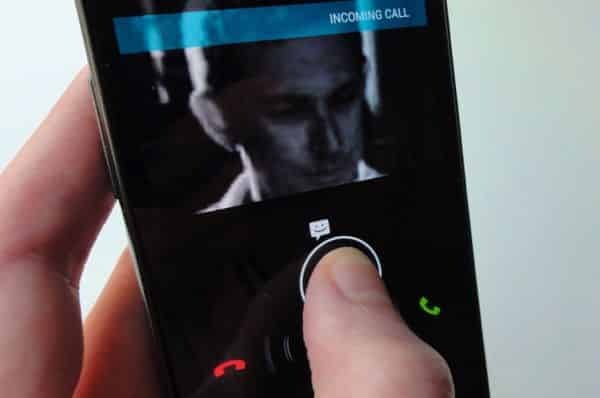 On the Galaxy Nexus, for example, open the Phone application, tap the Menu button in the bottom right corner of the screen, tap Settings, “Quick responses,” then tap the message you’d like to edit. Looking for more Android tip? Click here!